Scaling a successful developer service is hard. It is not about silver bullets, but about the process. This talk will walk people through how a team at Parse.com dealt with scaling software, procesess we adopted, tools we built to slay the beast. 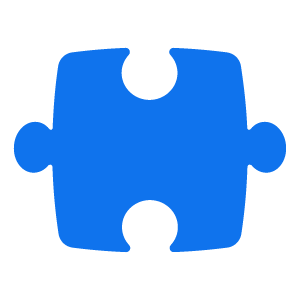 Parse.com (now owned by Facebook) is a mobile app platform used by 300K apps world wide. Over the last few years our traffic has increased by 10x every year. Scaling up to our software without breaking compatibility is a hard problem. As my boss likes to describe it -> it is upgrading the engine of Formula1 car without stopping it. In this talk I will explain what are the problems we faced, the tools and software we built and the lessons we learnt on the way. Scaling software is more of a mindset challenge and I will explain what processes we adopted, tools we built and some moonshots we took along the way. I will talk about how we organized our team into a bunch of specialists, broke down problems into smaller ones and drank a lot of whiskey on the way. This talk will be useful to teams at small startups starting to grow, and teams at large companies looking to scale successful services. It will be laced with real examples and stories. Close your laptops and pay attention :) and basics of a what a webservice is. I am Abhishek Kona or @sheki. I am from Namma Bangalore, I currently work on the Backend team at Parse.com, Facebook.com company. I previosly was member of the team which built RocksDB (http://rocksdb.org/) at Facebook. Before that I was honing my skills at Flipkart.com. Scaling software is my thing. Some of the talks related to but not similar to this one.